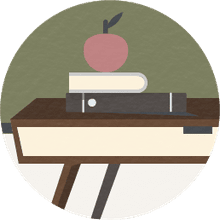 Reciprocal teaching is an instructional technique aimed at developing reading comprehension skills by gradually empowering the students to take on the role of the teacher. Reciprocal teaching makes students active participants in the lesson. It also helps students transition from guided to independent readers and reinforces strategies for comprehending the meaning of a text. In reciprocal teaching, the teacher models four comprehension strategies (summarizing, questioning, predicting, and clarifying) through guided group discussions. Once the students are comfortable with the process and the strategies, they take turns leading similar discussions in small groups. The reciprocal teaching technique was developed in the 1980s by two University of Illinois educators (Annemarie Sullivan Palincsar and Ann L. Brown). Using reciprocal teaching, improvements have been noted in student reading comprehension in as little as three months and maintained for up to one year. 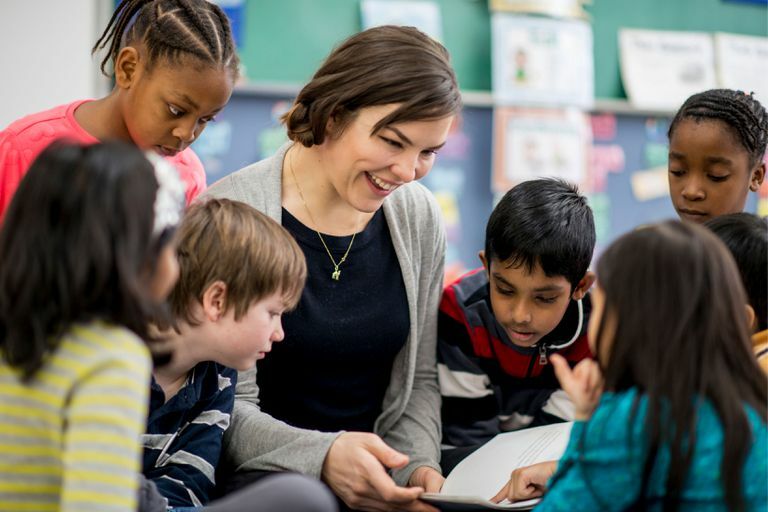 The Highland Park School District in Michigan saw gains of nearly 20% with fourth-grade students and improvement across the board for all students, K-12. The strategies used in reciprocal teaching (sometimes called the "Fab Four") are summarizing, questioning, predicting, and clarifying. The strategies work in tandem to dramatically increase comprehension. Summarizing is a vital, though sometimes challenging, skill for readers of all ages. It requires that students use a summarizing strategy to pick out the main idea and key points of the text. Then, the students must put that information together in order to concisely explain the meaning and content of the passage in their own words. What is the most important part of this text? What is it mostly about? How did it end or how was the conflict resolved? Questioning the text helps students develop critical thinking skills. Model this skill by asking questions that encourage students to dig deep and analyze, rather than summarize. For example, prompt the students to consider why the author made certain stylistic or narrative decisions. When [specific incident] happened, how do you think…? Predicting is the skill of making an educated guess. Students can develop this skill by looking for clues in order to figure out what will happen next in the text, or what the story's main message will be. When studying a non-fiction text, students should preview the text’s title, subheadings, bold print, and visuals such as maps, tables, and diagrams. When studying a work of fiction, students should look at the book’s cover, title, and illustrations. In both instances, the students should look for clues that help them predict the author’s purpose and the topic of the text. Clarifying involves using strategies to understand unfamiliar words or complicated texts as well as self-monitoring to ensure overall reading comprehension. Comprehension problems may arise due to difficult words in the text, but they can also result from students being unable to identify the main idea or key points of the passage. To better understand how reciprocal teaching works in the classroom, consider this example, which focuses on The Very Hungry Caterpillar by Eric Carle. First, show students the book cover. Read the title and author’s name out loud. Ask, “What do you think this book is going to be about? Do you think the author’s purpose is to inform, entertain, or persuade? Why?" Later in the story, pause to find out if the students know the word cocoon. If not, help the students infer the word's meaning from the text and pictures. Ask them to predict what will happen next. Finally, after finishing the story, guide the students through the summarizing process. Help them identify the main idea and key points with the following questions. Help students turn their answers into a concise summary, such as, “One day, a caterpillar started eating. He ate more and more every day until he had a stomach ache. He made a cocoon around himself and, two weeks later, he came out of the cocoon as a beautiful butterfly." As students become comfortable with these techniques, ask them to take turns leading the discussion. Make sure that every student has a turn leading the discussion. Older students who are reading in peer groups can begin taking turns leading their group.